As technology increases and becomes engrained in everyday activities, it’s important for young people to be educated about positive digital interactions and how to behave responsibly online – as well as ensuring schools and guardians are providing a safe learning environment. 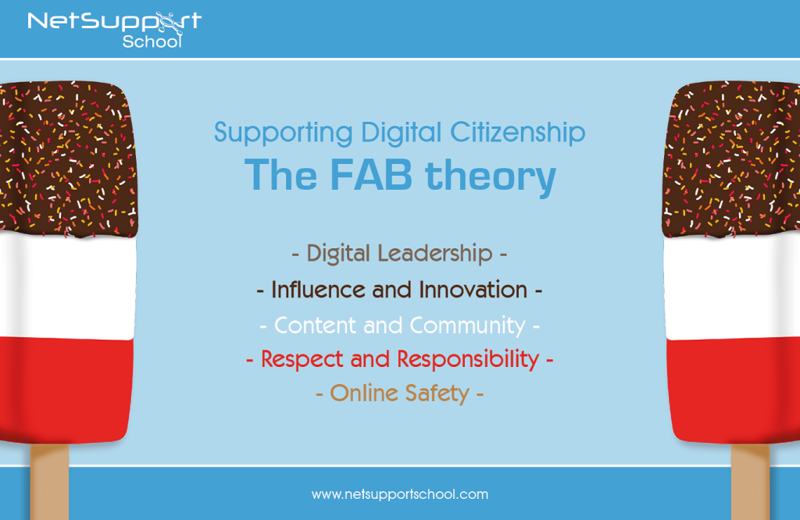 Working with eCadets, we’ve created the FAB theory that highlights the different aspects of becoming a good digital citizen. Online safety – The core of being a good digital citizen is knowing how to be safe online – from keeping your social profiles private to keeping personal information secure. Respect and responsibility – Respecting others and taking responsibility is key to becoming a good digital citizen, e.g. being aware of what you’re posting and how it may affect others. We can all help others by becoming ‘upstanders’ – helping friends and people online who might have problems by standing up for them. Content and community – Sharing the right content and building the right community. The more confident you become as a digital citizen, the more you can build supportive communities. It’s essential to find the right tools for this (e.g. schools can use GoBubble.School for free). Your content can have a great impact; random acts of kindness mean a great deal in the digital world. Influence and innovation –With your community, you can now become the change you want to see in the world. As the Digital Citizenship Institute puts it, you can now #BeThatKindofKid. There are inspiring examples of this on Twitter – check out #TheCaptainKindnessShow, @JoyceBronwyn ‏and @UpstanderBrand, for starters. Digital leadership -The final part of being a good digital citizen is to lead and educate others to do the same. You can also start to co-create across borders and time zones, like @digcitinstitute (who we’re proud to partner with). NetSupport’s solutions, (NetSupport DNA and NetSupport School) are used by schools to help manage technology both in the classroom and across the school. Their features also help schools to promote a culture of good digital citizenship, from monitoring content to reminding students of the role they play in their own online safety. See how these solutions can support your staff and students in becoming good digital citizens too! You can also use eCadets’ free GoBubble.School tool which has digital citizenship engrained in its core, helping to build pupil communities safely.